Do you like 7-11? Do you hate 7-11? Well, this convenience store is going to get a lot more interesting to visit with your favorite idols waiting for you! 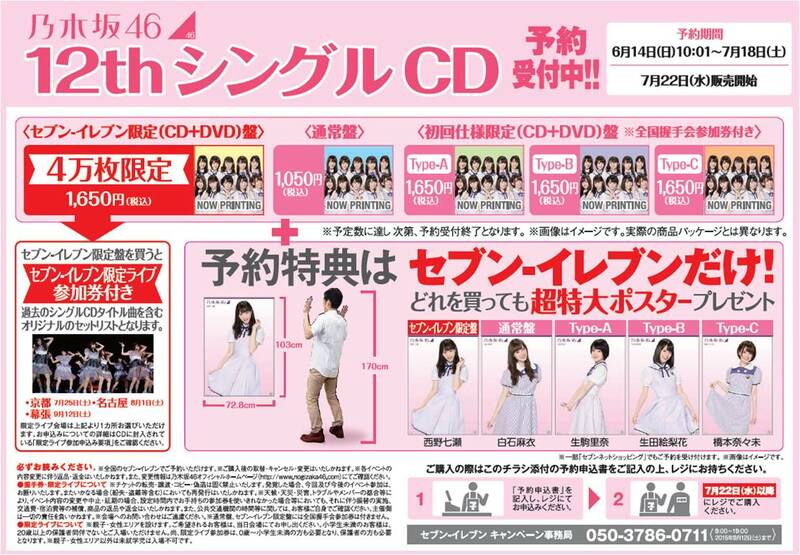 Nogizaka46, in collaboration promo with 7-11, will sell 7-11 limited editions of their new single, “Taiyo Knock” (太陽ノック). Unfortunately, you probably missed it! 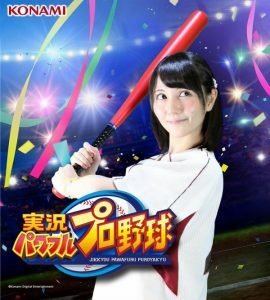 Similar collaborations have happened with AKB48 in the past (such as the AKB48 Part-Time Job collaboration with with job-search site, Baitoru). 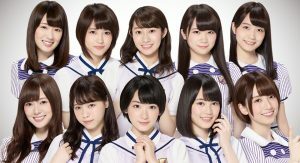 At an in-store promo event, members of Nogizaka46 donned 7-11 uniforms and worked at a 7-11 store, located in Tokyo’s Marunouchi neighborhood. 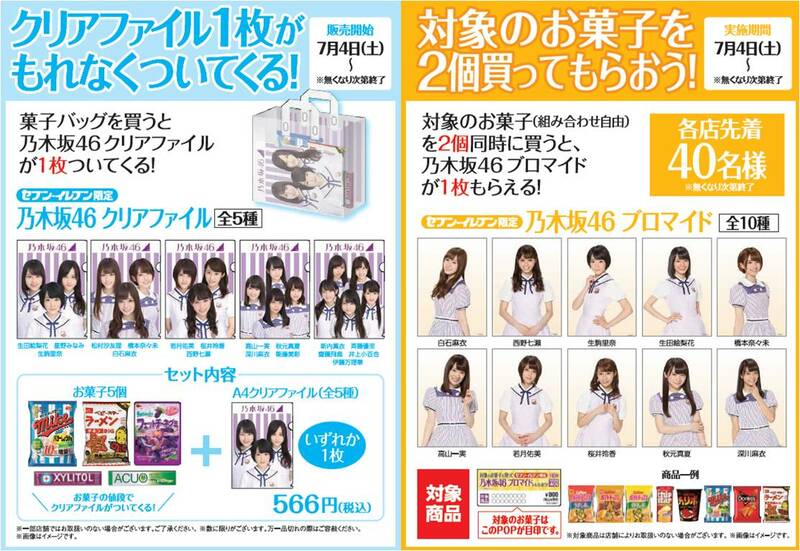 The event was aimed at promoted their 12th single, Taiyo Knock, which goes on sale on July 22nd. The collaboration will also challenge the wallets of fans with limited edition versions of the single available to buy only at 7-11 stores. 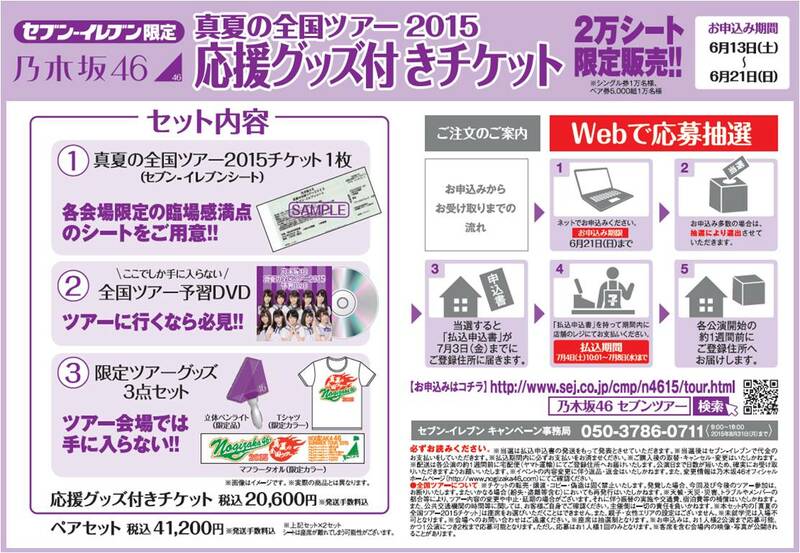 If that wasn’t enough, Nogizaka46-themed convenience store goods are also planned to be on sale, starting July 4th. 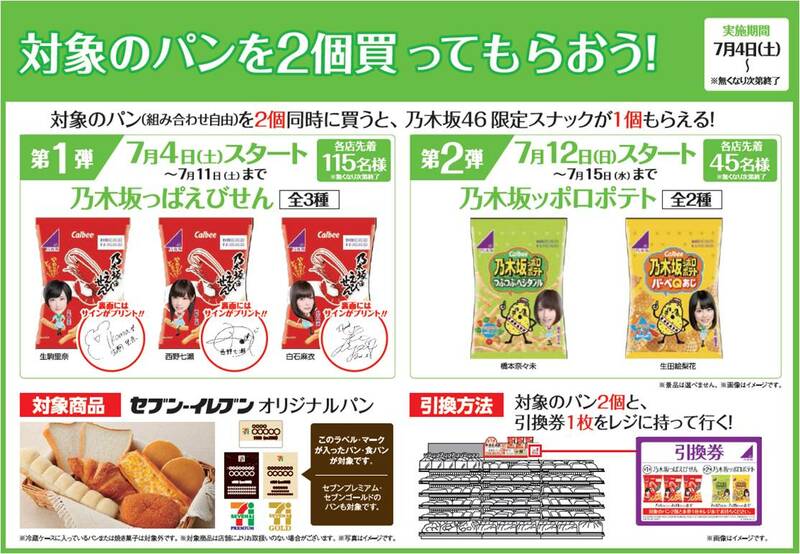 It appears that the themed goods will be snacks such as rice crackers and potato chips!